If you're looking for the perfect van rack for your full size van you've come to the right place. VanTech H3 van racks are constructed out of durable aluminum and available in either two or three 3 inch by 1.5 inch cross bars. You can choose between three different colors, either black, white, or silver. VanTech H3 van racks are available in either six inch or eight inch wide mounting bases depending on your vehicle model. Each rack come with 2 by 0.75 inch eye hooks per mounting base for your easy tie down needs. Depending on your vehicle you will either clamp this rack onto your factory drip rails or you will have to fasten them onto existing factory mounting points. VanTech H3 van racks are everything you need for your full size van. Order yours today and you won't regret it! VanTech offers a five year warranty on the H3 series van racks. The warranty protects you from quality of workmanship and manufacturing defects. Please contact our great customer service team at 1-877-216-5446 for more information. The VanTech H3 van racks have an easy at home installation. 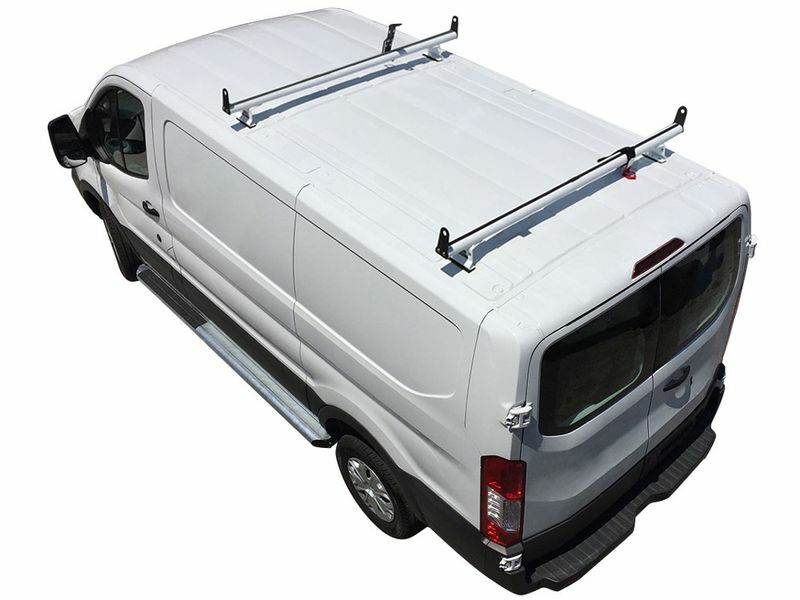 Vans with gutters have a simple clamp on installation. Vans without gutter are easily mounted with minimal drilling. For additional information please call our customer service team at 1-877-216-5446 or 701-253-5906.